Those times the URBAN LEGEND killer was ripped-off. Winter is sneaking up on us. And it might be time to start digging out those heavy winter parkas. 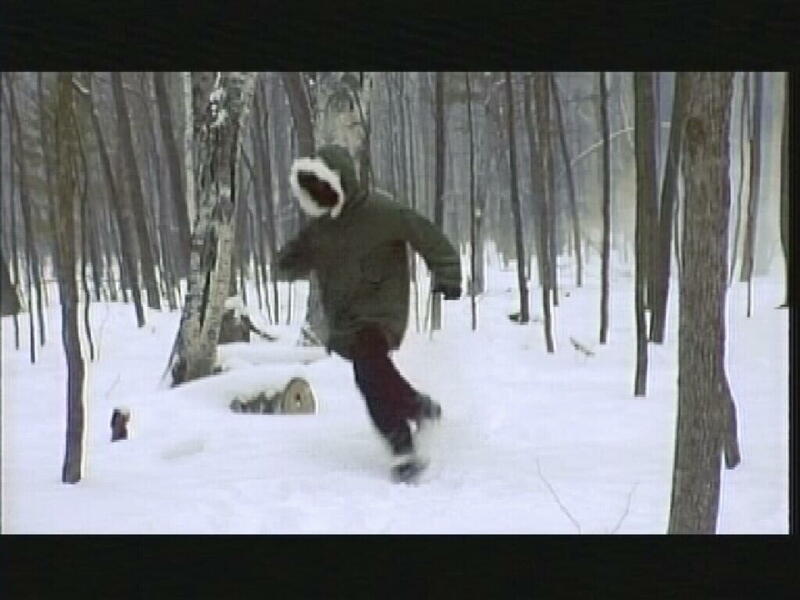 Personally, I know every time I throw my parka on with the fur-lined hood, I always think to myself, "Damn, I look like the killer from URBAN LEGEND." And apparently, I'm not the only one who thinks it's a cool look, either -- as a couple other horror movies have "borrowed" the look. Now, it's funny to think about the killer from URBAN LEGEND being ripped-off, because, well, that movie was a quasi rip-off itself, cashing in on the success of SCREAM and the revival of the teen slasher. Don't mistake these words as me speaking ill of the movie, though. Hell, I even wrote an article awhile back of the Top 10 reasons to love URBAN LEGEND. But, nevertheless, Brenda's (Rebecca Gayheart) look has been copied -- and I'm going to cover two of those instances here. Now this film was originally titled THE RETREAT, which would've worked well for this movie. But no! It had to go and rip a title as well. Oh well. The killer even uses an ax! Now the killer's look...it's, well, identical to the look of the killer in URBAN LEGEND. But honestly, it works for this movie. The film takes place at a cabin in the middle of the woods...in the middle of a snowy winter. So even though it's not an original killer disguise, I'll let it slide. And it's from the same company who gave me my favorite low-budget slasher franchise BLOODY MURDER! As you can see from the image above, yes, the killer from ATM also wears a parka. Although, the killer this time around was sans ax, so there's that little bit or originality. 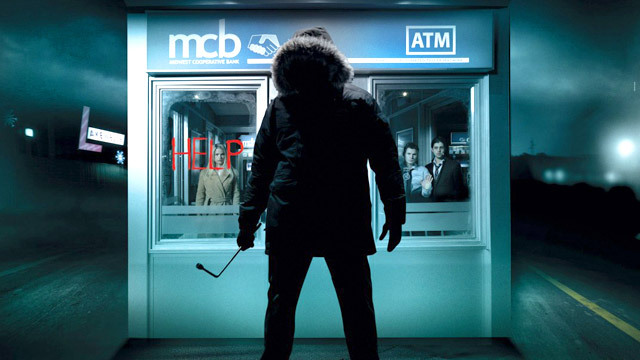 The movie revolves around a trio of people who are trapped inside an ATM. By trapped, I don't mean "locked in," but a mysterious man in a parka who won't let them leave. Unlike SILENT SCREAM, ATM is surprisingly good (and well-made). And I highly suggest it! Do you know of any other horror movies that use this same (or similar) look? Thanks for reading and be sure to like MorbidMuch on Facebook and follow me on Twitter!